Weymouth Tree Surgeons (Arborists) Dorset Treeworx - Tree & Hedge Trimming in Weymouth | Weymouth Tree Service | Weymouth Tree Surgeon | Weymouth Tree Removal | Weymouth Tree Care | Weymouth Tree Company | Weymouth Tree Felling | Weymouth Tree Work | Weymouth Tree Surgery | Weymouth Hedge Care | Weymouth Hedge Trimming | Weymouth Hedge Cutting | Weymouth Hedge Removal | Weymouth Tree Stump Grinding | Covering Weymouth, Portland, Dorchester, Portesham, Chickerell, Preston, Sutton Poyntz, Wyke Regis, Upwey, Langton Herring, Abbotsbury and surrounding areas in Dorset. Your Local Tree Surgeon & Hedge Trimming Company based in Weymouth & Portland, established in 2009. We are committed to high quality Tree Care and work to best practice, the British Standard 'Recommendations for Tree Work' B.S 3998:2010. The company is fully insured and the team qualified to City & Guilds NPTC to which, is highly recognised in England (UK) and throughout the world. We are a friendly professional team of tree surgeons (Arborists) that hold over ten years experience in the private, commercial sectors. We cover Weymouth & Portland, Dorchester and the surrounding areas in which we offer every aspect of Tree Surgery & Hedge Work to domestic and commerical customers (inc. conservation area work), from Tree Care to Tree Removal / Felling (including Tree Stump Grinding) and Hedge Trimming to complete Hedge Removal. We pride ourselves on being punctual, doing a safe quality job to your requirements plus, leaving your garden or site clean and tidy. Please visit our services page for more details and contact page to get in touch at anytime by phone or contact form to arrange a visit and free written no obligation quote / estimate - Get In Touch & Hire Us! Preston, Chickerell, Sutton Poyntz, Greenhill, Upwey, Wyke Regis, Lanehouse, Langton Herring, Portesham, Abbotsbury, Nottington, Littlemoor, Westham, Osmington, Ringstead, Rodden, Moonfleet, etc. 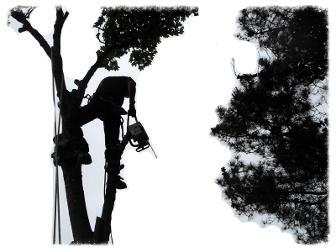 Tree Care -All aspects of tree work from general pruning too tree removal/felling. Hedge Services -Hedge trimming to tidy, reduction in size or complete removal. Wind damaged or fallen trees??? we can make things safe! Tree Stump Grinding - Removing unwanted stumps to below ground level. Garden Services - re-set/tidy up trees,shrubs & overgrown areas in your garden. Grass Strimming - Overgrown areas large or small we can help. Commercial Work - Call us to site visit or email us your requirements. Grounds Maintenance - Offering one off or a continued plan. Log Sales - Hard & soft wood axed into logs and seasoned (see logs sales page). Legislation - we got you covered! For trees under Tree Preservation Orders (T.P.O's) and Conservation Areas to which are under the legislation, town planning regulation act 1990. If you wish we can discuss the work with you and submit an application on your behalf for the requested tree works with your council tree officer. Risk Assessments made, First Aid, Equipment & P.P.E inspections. Held by staff, certs in City & Guilds (N.P.T.C). Public & Employees Liability for domestic and commercial customers. Planning authorities will require tree works to be carried out according to best practice British Standard 'Recommendations for Tree Work' B.S. 3998:2010. Disposal of waste is taken seriously and is important to us and the environment that we dispose of it through recognised, eco-friendly sites that will recycle. 30th May 2017 - Spring & Autumn list started for regular customers (and new) to book-in your regular or/and one off jobs. 10th March 2017 - Season nearly over for early year pruning, phone now to book-in your tree for September onwards. 1st March 2017 - Dorset Treeworx's 7th year and going strong - a big thank you to our customers and for recommending us. 15th Jan 2017 - View our new Dorset Treeworx facebook page - see our pictures and contact us directly from the page. 6th Feb 2017 - Environment Agency Green Waste Cert renewal - we care about the disposal of the waste we generate. 1st Feb 2015 - Hedge work starting to pick up now for the spring, phone now to book-in your hedge. 25th Jan 2015 - Pictures of our work will be posted on the gallery page soon to show off our skills (tree before & after!). Jan 2015 - Few fallen tree's dealt with but, not as many as last year with the weather! 22nd May 2014 - FREE Tree Applications for customers starts now, as to be ready for the up and coming pruning season. (based on quotations being accepted & if required). 12th Feb 2014 - Updated 'Environment Agency Green Waste Cert' received to permit us to carry our green waste responsibly. All aspects of Tree Surgery & Hedge services for Weymouth & Portland (Chickerell, Preston, Osmington, Lodmoor, etc) Dorchester plus, areas of Dorset.